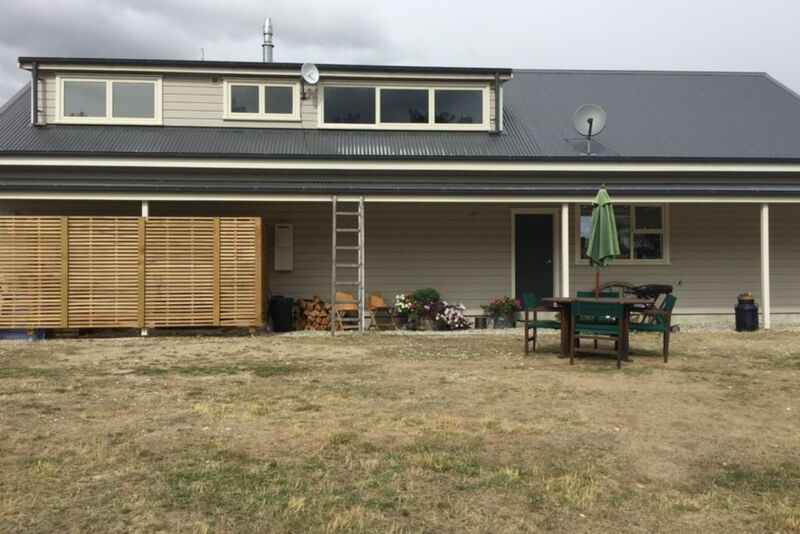 Situated in a quiet rural location just off the main highway, surrounded by hills and amazing views of the Clutha River. This mezzanine apartment is well equipped for a comfortable stay with 2 bedrooms , 1 bathroom and a open plan living,dining and kitchen area. Only a couple of minutes drive to Luggate and the Wanaka Airport where adrenaline junkies can get their hit with Sky Diving, Have A Shot , Wanaka Beerworks and take a look at the famous National Toy Museum just to name a few activities.Also close by there are great biking tracks , rock climbing and fishing. Just down the road we have a local fishing guide "Alpine Fishing Guides" to show you the hot spots on the river ! The apartment is on a lifestyle farm with owners in a neighboring house and animals on the property. Tariff is for 2 people only. Such a peaceful and awesome stay in a beautiful spot! A super easy family to host, they took great care of our property and were very respectful. The unit its lovely. It is nice and warm for winter. The drive to Wanaka is short and pleasant. I would happily stay here again or recommend to friends and family. Very comfortable,cosy and well fitted out. Nice environment, friendly host and good value. Just right, clean, tidy, self contained and well equipped for a family. Just right, clean, tidy, self contained and well equipped for a family. Nice quiet location 10-15 minute drive to Wanaka. Very peaceful and quiet location. The property has everything required for a comfortable and enjoyable stay - Sky TV, WiFi included. Located close enough to Wanaka for shops, restaurants etc. A great place from which to explore the surrounding area.